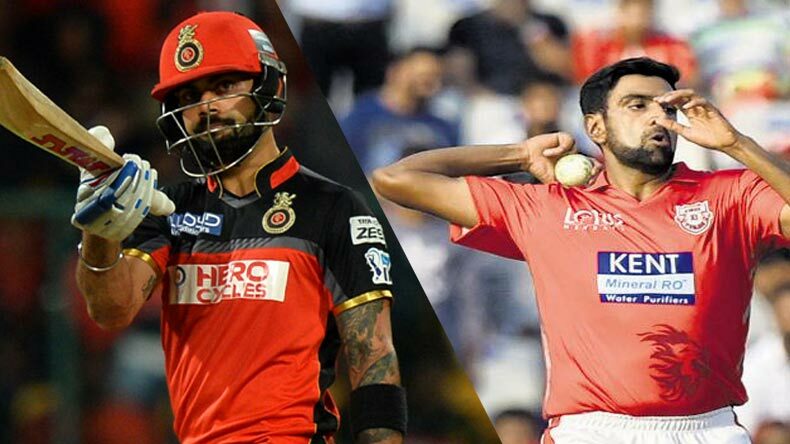 Royal Challengers Bangalore vs Kings XI Punjab; Match Preview: Two sides who have had contrasting starts to their IPL campaign; Narine-ambushed Royal Challenegers Bangalore will take on an upbeat Kings XI Punjab in their first home match at the M. Chinnaswamy stadium in Bangalore. While RCB will look to get their first points on the table, KXIP will hope to continue their winning momentum. Despite a loss in the opener, Royal Challengers Bangalore will now look forward to get their first win in the league against the Kings XI Punjab at the M. Chinnaswamy stadium in Bangalore. But the challenge won’t be easy as they face an upbeat KXIP full of confidence. After a bombarding victory against Delhi Daredevils at Mohali, Kings XI Punjab will lock horns with the Royal Challengers Bangalore, who lost their opening match of Indian Premier League 2018 against Kolkata Knight Riders at Eden Gardens. Kings XI Punjab are looking a bit balanced this time, as they have some of the biggest names in T20 cricket in their squad which can be used at various points in their journey this year. KXIP captain Ravichandran Ashwin despite captain an IPL franchise for the first time handled the situation very well in the opening match. On the other side, RCB captain Virat Kohli didn’t quite have the start to his trophy campaign, as he would’ve liked. Both RCB and KXIP boast off a strong batting lineup; however, it’s the bowling where Punjab might just have the edge over Bangalore. Talking about the previous match for both teams, Punjab had an excellent outing with the bat in special, as KL Rahul smashed the fastest half-century in the history of IPL, against DD. Karun Nair who was bought by KXIP this year, chipped in with a half-century as well; against his former franchise— Delhi Daredevils as they won the match by 6 wickets; after the bowling department led by skipper Ashwin, and the 17-year old Afghani spinner Mujeeb Zadran, restricted a strong DD batting lineup to a modest 166/7. One concern for the side might be the rustiness of Yuvraj Singh during the match, where the veteran managed just 12 runs off 22 balls. On the other hand, RCB despite posting a good total of 176/7 with contributions from McCullum, de Villiers and a late cameo by Mandeep Singh; lost the opener against KKR by 4 wickets. It was that man once again, Sunil Narine, who hit a 50 off 17 balls and ambushed the RCB bowling, once again, for the second straight time. Although Umesh Yadav presented some difficulties, with his hostile short-pitched bowling, and same late scalps by Chris Woakes; KKR chased down the target with 7 balls remaining. In the post-match interview, Kohli took the blame on himself by saying that his side were 15-20 runs short of what they would’ve liked after the skipper played an unlikely innings of 31 off 33 balls. RCB despite having the biggest names in world cricket at the moment with the likes of Brendon McCullum, Quinton de Kock, captain Virat Kohli and 360-degree AB de Villiers; have always struggled with their bowling; which has been their perennial problem since eternity. Kings XI Punjab: After his fabulous innings, all eyes will now be on KL Rahul to perform with the bat once again for his side. Young legspinner, Mujeeb Zadran who had an excellent IPL debut, would look to emulate his performance against RCB. Royal Challengers Bangalore: Brendon McCullum opening the batting is a nightmare for any bowler. He’ll once again look to give a good start to RCB by taking full advantage of the first 6 overs. Skipper Virat Kohli would look to make amends for his unusual outing in the first match, and register first points for RCB on the table. What to expect: Partly cloudy skies and a maximum temperature of 29 degrees, which should dip as the game goes on. The pitch is a mystery this season. After playing out flat in 2016, there was a lot of sluggishness to it last year, which hampered RCB. Yuzvendra Chahal expects a couple of 200-plus scores this season. Royal Challengers Bangalore: Head coach Vettori all but confirmed that RCB will stick to their five-bowler theory, which means they’re like to field an unchanged side from the game which they lost to KKR earlier in the week. Kings XI Punjab: Gayle spent some time batting in the nets but KXIP too should retain the same XI that comprehensively beat Delhi Daredevils, with a strong Karnataka core at the top of the order. Aaron Finch has joined the team, having missed their opening encounter owing to his marriage. But it’s unlikely that Kings XI would want to disturb a batting combination that served them well in their previous game. “I don’t think we bowled particularly well to Sunil Narine. We went away from our plans. Apart from that, it was a pretty good performance” – Daniel Vettori isn’t too worried after the first defeat. “From what I’ve gathered, he’s very calculated, and he really thinks about the game well. So far it has been pretty relaxed, pretty low-key, letting the guys do what they need to do, which is the most important thing” – David Miller on his new captain Ravichandran Ashwin.